For information on why the Electoral College was created and the purpose it serves, check out this short video from Prager University. Counter point, here's an article about Barbara Boxer moving to abolish the electoral college. Moral of the story, do your own research and formulate your own opinion about all that. There is a total of 538 electoral votes up for grabs. In order to win the presidency, a candidate must have at least 270 electoral votes. As of right now, Trump has 290, and Clinton has 232. The remaining 16 votes are from Michigan, where it looks like Trump has a narrow lead. Michigan will report final results at the end of November. So even if by some miracle, Hillary gets those Michigan votes, that will not be enough to get her count up to 270. The electors can write in any name they choose, and if at least 37 of Trump's electoral votes go to someone else - anyone else - he will not have the 270 votes required. If no one has 270 votes, the decision goes to the House of Representatives, where they will choose from the top three candidates with the most electoral votes. So it would be Hillary, Trump, and.... I don't know... some other guy, depending on who the electors write in. In that scenario, we may end up with a Republican president, but at least it won't be Trump. Learn more about that process here. So what do we do? 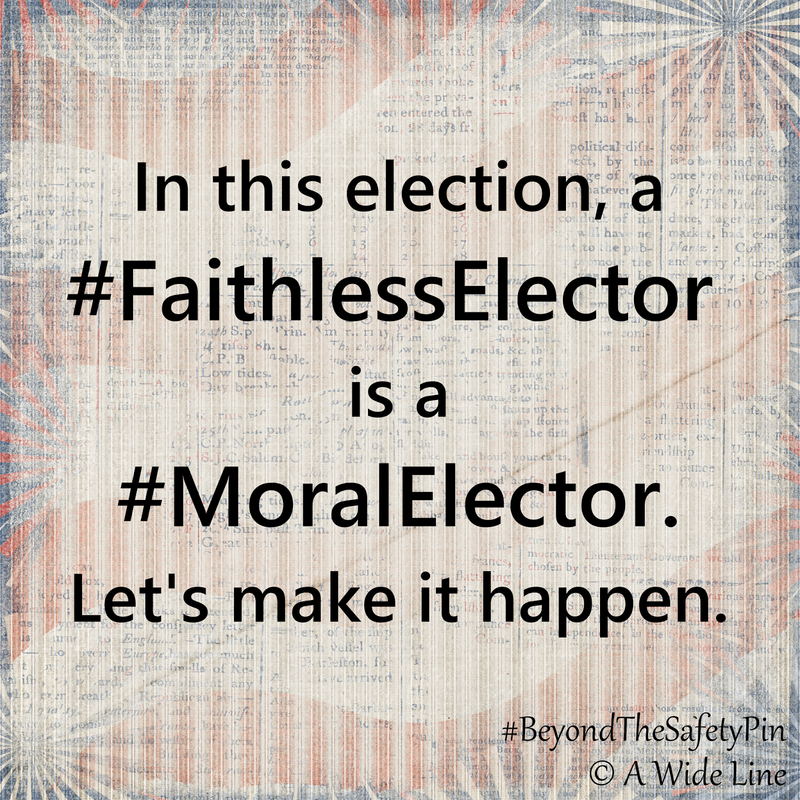 Basically, we beg and plead for electors to go faithless. 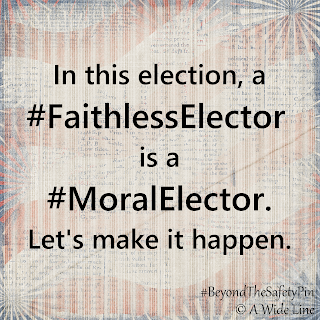 In this election, a #FaithlessElector is a #MoralElector. If you are a blue dot in a red state, you can contact your chosen electors. Even though I live in California, I grew up in Michigan, and once those final 16 electors are officially reported, you can bet I will contact every single one if Trump wins my home state. This Huffington Post article by Douglass Anthony Cooper beautifully explains how going faithless is not only constitutional, but it's patriotic. It's not "rigging the system" - this is exactly why the system was designed. And here is a convenient list of the electors and their contact information, as available. Call them, write them, beg them to flip their vote. A few other #PSN members and I have done some investigation on the red state electors, and here are few that look promisingly faithless, although, with the dissent in the Republican party over Trump, I believe there are several others who could be swayed. I'll update this list as I find out more. What do you say in your email, you ask? No problem, I've done that work for you as well. You can copy and paste the sample letter below, as well as find other samples here. PLEASE personalize your letters and address them directly to the elector you are contacting. I am writing to ask you to consider not voting for Donald Trump on December 19th. It is your esteemed duty as a member of the electoral college to vote for anyone who is qualified to be President of the United States, and Donald Trump does not meet those qualifications. President of the United States is not an entry level position. While I understand the need for change, a minimum amount of experience is required. Mr. Trump does not have even the minimum level of experience. Alexander Hamilton said it was the job of the electoral college to ensure that "the office of the president will not fall to the lot of any man who is not in an eminent degree endowed with the requisite qualifications." This is where you have a chance to truly impact change and be a voice of reason in America. Mr. Trump has encouraged violence, racism, bigotry, sexism and xenophobia. Because of this, many Americans have been the victims of hate crimes and bullying, and they fear they will no longer have the basic human rights we have fought so hard to achieve. The KKK is marching in Trump's honor. His running mate, Mike Pence, has been very open about his anti-gay stance, and Trump is now appointing White Nationalists and known racists to key cabinet positions. Americans are afraid. We are not simply upset that Hillary did not win. We are absolutely terrified of what a Trump presidency will mean for us, our country, and our position in the world. The electoral college was founded to prevent the election of a tyrant in a direct democracy. Millions of American's feel that Trump is that tyrant from whom you have the power to protect us. Voting for someone other than Trump is an emergency measure built-in to our electoral system exactly for instances like this. I am asking you to honor the popular vote, and vote for Hillary Clinton, or write in the name of another qualified leader you see fit to run our already-great country. Go forth and exercise your voices! If you have any additional information on the electors or suggestions for the sample letter, please leave them in the comments below. NOTE: All hateful, disrespectful, or unkind comments will be deleted. You're welcome to disagree with me, but you must be kind! 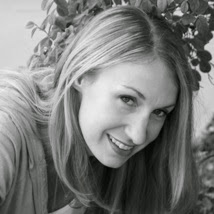 If you're just here to troll around and squash hope, please slink away. And my name is not "Snowflake."